Well, I finally did it - I shelled out for a license of Komodo IDE. 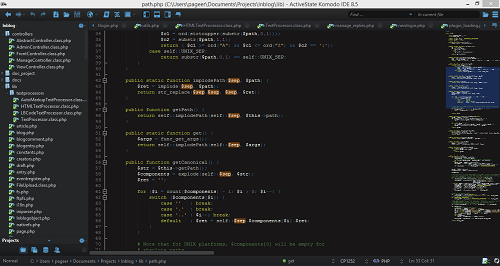 I've been using Komodo Edit on and off since about 2007, but had never needed the extra features of the IDE to justify the $300 price tag. But last week ActiveState had a one-week $100 off sale, so I decided to try it out again and ended up deciding to make the purchase. 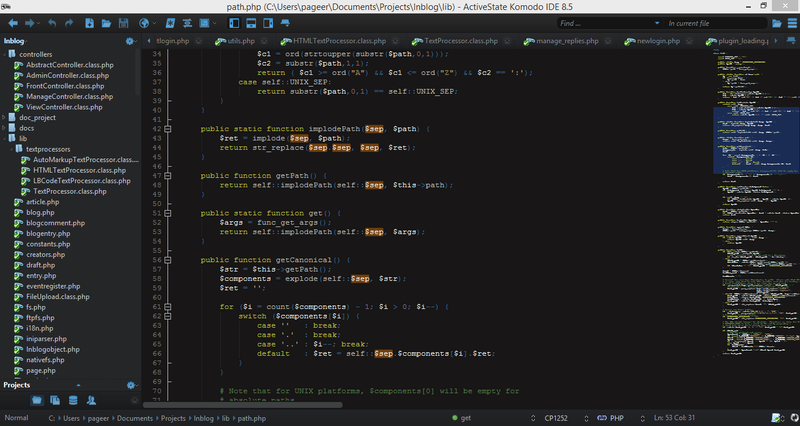 Part of what motivated me to give Komodo IDE another shot after getting along fine with Komodo Edit for so many years (aside from the price, of course) is my new-ish job. It turns out that Eclipse is fairly popular among the Pictometry engineers, despite the fact that they're a pretty smart bunch (I'm not a fan of Eclipse). Thus many of them take integrated debugging for granted, so on a few occasions I've been told to debug an issue by "just stepping through the code." And to be fair, there have been a few bugs I've worked on where integrated debugging genuinely would have been useful. Perhaps this is due to the fact that our internal back-end framework is significantly more Java-like than most code-bases I've worked on (but that's another post entirely). Of course, that's not all there is to Komodo IDE. There are plenty of other nifty features, such as the regex testing tool, structure browser, integrated source control, and a number of other things. So when you put them all together, it's a pretty good value, especially at the sale price of $195. And with the cool new stuff in Komodo 8.5, I have to say I've pretty much lost interest in trying out new editors. The ActiveState team did a really nice job on the latest version. Enter the difference of 50 and 38.